Deals to import thousands of workers from non-EU countries are set to be signed in the coming weeks as the government looks beyond Maltese shores to pre-empt a labour shortage problem. Clyde Caruana, who heads the State employment agency, told Times of Malta bilateral agreements were being drafted and would soon be signed with third countries such as Serbia and Montenegro. Times of Malta reported in August that more than 20,000 foreign workers travelled to Malta over the past few years but government predictions indicated that more were needed to stop the country from seizing up. “We have maximised the potential of the Maltese labour force and, over the past few years, attracted thousands of foreigners. However, they do not stay here for long and attracting them again in even larger numbers is a top priority now,” Mr Caruana, an economist, said. According to employment statistics compiled by his agency, JobsPlus, the vast majority of foreign workers who arrived in recent years left the country rather quickly. In fact, less than a 10th of the thousands who had been here by 2010 remained on the island today. Mr Caruana said the government would follow EU-wide protocol when attracting workers to Malta. “We will prioritise Maltese workers. If we can’t find enough Maltese nationals to fill vacancies, we will look across the EU, as is the norm,” he said. Mr Caruana said JobsPlus would be overseeing and managing the country’s worker requirements. 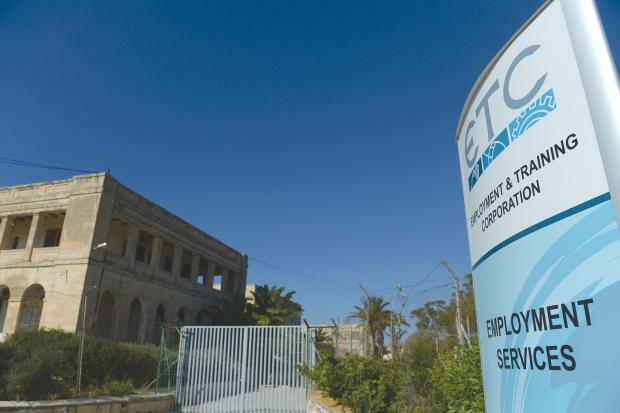 A specialised unit would be set up that would liaise with employers to identify vacancies and then issue calls within Malta, the EU, and, eventually, in the agency’s third country counterparts. Over the past four years, the country’s average economic growth was measured at around 6.4 per cent – far outstripping the EU average. Last year, Malta registered a net increase of 10,500 jobs over the previous year, a trend that persists. “It dipped slightly after the election, which is normal. But once the government starts to implement the electoral manifesto – basically kick-starting large infrastructural projects – things will change fast,” Mr Caruana said. The government has pledged a €700 million seven-year plan to redo all of the island’s road network. It has also planned to revamp hospitals and, with a number of major high-rise and luxury construction projects earmarked for the next few years, Malta has a desperate need for workers. Although questions on what type of workers were needed remained unanswered, government sources said construction labourers were among the main shortfalls envisaged. Transport workers, IT professionals and even cleaners were also on the priority list. JobsPlus sources, meanwhile, pointed to the phenomenon of third country workers working illegally in Malta as a problem that needed addressing. They said these were only allowed to legally work one full-time job, however, inspections had found third country nationals also doing a number of part-time jobs that could be filled by Maltese workers. Such defaulters would normally face hefty fines, however, JobsPlus is now likely to shift towards encouraging them to fill job vacancies that would have otherwise been taken up by imported workers. “This was proposed as something that will cut down on illegal employment and make the most out of the workforce currently on the island without having to bring over even more,” the sources said.